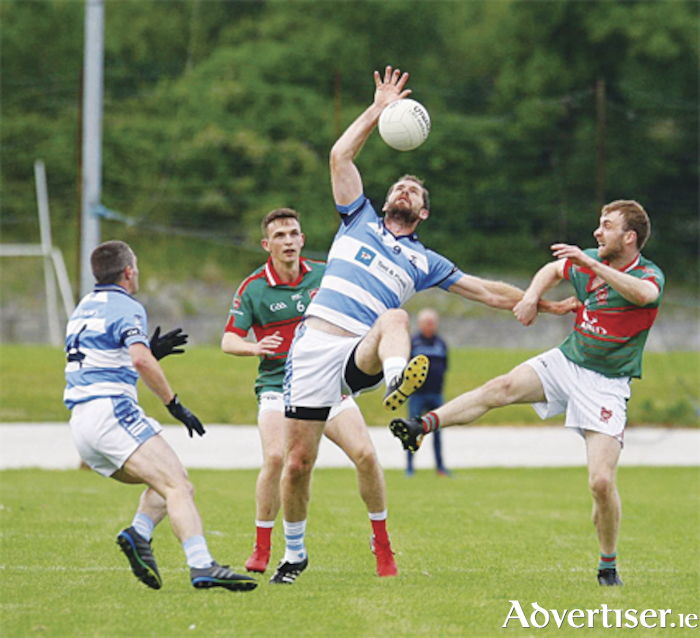 The Shay Murtagh Precast Westmeath senior football championship takes centre stage across many of the counties GAA fields this bank holiday weekend with both Athlone and Garrycastle seeking to build upon opening day victories. In Group 1, Athlone make the short trip to Hogan Park in Moate for a Sunday evening contest against reigning champions St. Lomans (throw in 7.30pm ). With a nine point win over Coralstown/Kinnegad in their opening round robin fixture, Emmett McDonnell's charges will be hoping to carry this positive form into this clash with the recent Leinster club finalists. Come the shrill of the final whistle on Sunday evening, Athlone will, no doubt, have a clearer picture of their title aspirations going forward as a stern test is certain to be provided by the four in a row aspirants. A win in Hogan Park will set the tone for the remaining group games and ensure that Athlone are poised to secure a place in the knockout phases of this year's championship. Garrycastle are also seeking a second success in Group 2 of their senior football championship campaign. Fr. Growney Park in Rosemount is the venue for their clash against Mullingar Shamrocks with throw in at 7.30pm on Saturday evening. Always in pristine condition, the Rosemount pitch looks set to host an end to end contest with both teams having earned victory in their opening fixtures. Garrycastle, while leading comfortably at the half time stage against St. Mary's Rochfortbridge, momentarily malaised in the second period but still managed to close out a three point win, while Shamrocks saw off a spirited challenge from Castledaly. Both teams will be eager to maintain momentum with the quarter finals very much on their mindsets and a return to the upper tier of the senior football championship. In an all South Westmeath clash on Friday evening in Pairc Chiaran, Athlone (throw in 7.30pm ), Rosemount aim to add to Castledaly's woes as they seek to claim their second brace of points in Group 2 of the senior championship. Seeing off the challenge of Maryland in their opening round robin tie, the Benny O'Brien managed Rosemount will be seen as favourites in a game between two clubs who are amalgamated at underage level.